I showed the coffee table S-Wood in the project, Stockholm Wood, who was a small collection of furniture that was shown at an exhibition at Designgalleriet during the Stockholm Furniture Fair in 2012. Today it is produced by Ire Mobel. 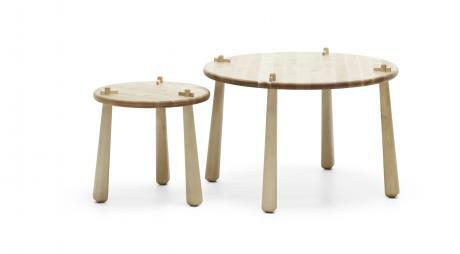 S-Wood is a pretty small coffee table that you assemble yourself without screws, the little plug locks the legs. The coffee table is made of massive Swedish birch and finished with hardwax. Name: Comes from the exhibition. 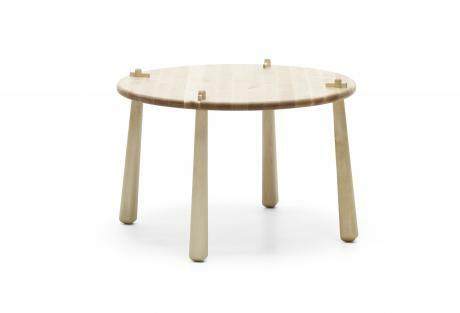 Dimension: The table is available in 40 cm or 68 cm in diameter and height of 37 cm or 44 cm. 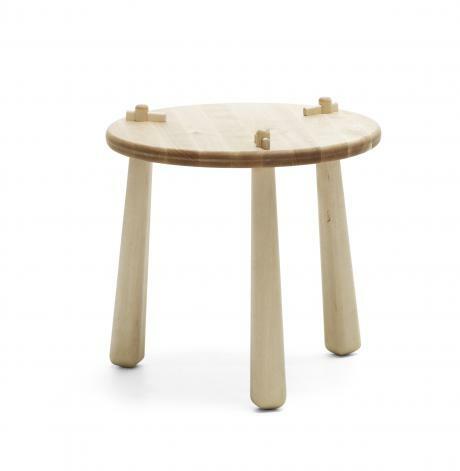 Price: 2940 SEK for the little table and 3990 SEK for the large one.